Mr. Anthony Ihedoha Anaebere, Sr. (1938-2015) believed that education was power and could have the potential to positively impact the trajectory of one’s social, professional, economic and personal life. Born and raised in Urualla, Ideato North LGA, Imo State, Nigeria; he saw the impact that education could have on lifting generations out of poverty, supporting innovation and mobilizing a competent and an efficient workforce. After immigrating to the United States in 1964, Mr. Anthony Ihedoha Anaebere, Sr. remained committed to strengthening his presence as an engineering professional and began his studies in engineering at Cornell University. With a desire to return to a climate that mirrored that of his homeland of Nigeria, Mr. Anthony I. Anaebere, Sr. relocated to California and successfully earned a Bachelor of Science Degree in Agricultural Engineering from California Polytechnic State University, San Luis Obispo in 1968. 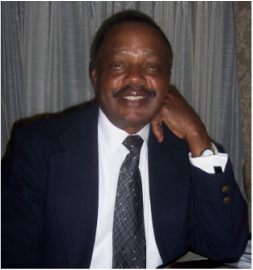 After completing his university studies Mr. Anthony I. Anaebere, Sr. began working full time as an Engineer at Honeywell International until 1976. While working full-time at Honeywell International, he concurrently earned his Master of Business Administration (MBA) from West Coast University. He continued to work at ITT General Controls from 1976 to 2000 until his professional retirement from engineering. As an engineering professional for over 30 years, Mr. Anthony Ihedoha Anaebere, Sr. aspired to have a lasting impact on the lives of others through mentorship and/or providing resource support to Nigerian students pursuing education in the United States of America and abroad. In his honor, the children of Anthony Ihedoha Anaebere, Sr. are proud to honor his memory and continue in their father’s name, supporting the educational pursuits of Nigerian and Nigerian-American students in the United States of America, through the Anthony Ihedoha Anaebere, Sr. Memorial Scholarship. The Anthony Ihedoha Anaebere, Sr. Memorial Scholarship will be awarded to one Nigerian-born or first generation Nigerian American student pursuing engineering studies in the United states of America. The scholarship amount may vary each cycle. For this year we will be awarding one $1,000 scholarship. The scholarship will be awarded based on the strength of each candidate’s academic background and demonstrated leadership. Through this scholarship we hope to encourage Nigerians here in the United States of America and abroad to excel in engineering and become active role models & leaders in the field and in the lives of others.